Victoria, Mahe (Seychelles) – August 14, 2018 (travelindex.com) – Hoteliers and Tourism Industry Leaders are never able to get away from their job and to be themselves without feeling the pressure of their staff, guests or the just the compulsive habit of watching over service to ensure it is at the level they set. This is exactly why Club Liberte Casino at Four Seasons moved to invite the tourism trade for what will be a regular night out to meet each other casually and enjoy discovering what is on the market. Last Friday night at Club Liberte Casino it was new (Bio-organic) wines on the market courtesy of Archipelago Wines & Spirit that was being served as the Casino Chef brought out an array of snacks of what was being referred to as ‘finger foods’. “Hospitality and Tourism leaders work hard and need a place to just relax” was a comment from a hotelier. “Living is the rarest thing in the world. Most people just exist. These words are dedicated today, as a homage to Ex Chief Minister and Doyen of Indian Politics, the late Mr. Karunanithi” said Mr Ramani a member of the Seychelles Indian Community. This highly respected political icon of the State of Tamil Nadu, Mr Muthuvelan Karunanidhi on the 8th June 2016, had welcomed me and my official delegation to his private offices in Chennai. The world was in shock last week, to hear of the sad loss of the ex. Chief Minister Dr. Muthuvelan Karunanidhi of Tamil Nadu, who passed away at the age of 94 years old. A condolence meeting was held in his honour at the Vivekananda Hall of the High Commission of India in Seychelles premises on the 8th August at 5.30pm. I was then on a working visit to increase awareness of the Seychelles as a tourism destination, to the Indian holiday makers and to work to develop more trade between Seychellois entrepreneurs and their Indian Counterparts. I was accompanied by Sherin Naiken, the CEO of the Tourism Board, M. S. Sai, the Seychelles Honorary Consul in Chennai, Ramu Pillay, Kannan Pillay, Shanmugam Pillay and Durai Pillay . Mr Muthuvelan Karunanidhi has been Chief Minister of the Tamil Nadu State for six terms, and still remained a sitting Member of the Legislative Assembly after over two decades. I remember well discussing with Mr Karunanidhi, the closeness of the islands of the Seychelles, the population with its own Indian population with many still having strong links with family in the Tamil Nadu State amongst many other matters. I was in awed by this meeting, not because of politics, but because of his lifelong dedication to his people and country which has earned him the respect to be regarded as a political icon. I was thrilled that Mr Muthuvelan Karunanidhi received us personally to his offices, and said to the army of waiting press outside his offices, that the whole delegation shall cherish this meeting with such a respected personality”. The annual 15th August Feast of the Assumption of La Digue in the Seychelles, a celebration that falls on the calendar of events of the Roman Catholic Church, will this week bring thousands to La Digue. This year, the celebrations will be extended into two weekends, as the 15th August falls midweek on a Wednesday. This feast brings together the religious procession and mass, as well as mass musical events and a fun fair. The people of the Seychelles have always been proud of their unique culture, and religious belief is part and parcel of the island’s culture. Happy 15th August to each and every Diguois, and congratulations to the Seychellois people for the respect of the Seychellois Culture, which needs to be nurtured daily to ensure it gets stronger day by day. “You can change everything, but you cannot change your culture and heritage” were words I echoed at the 2015 La Digue Celebrations when addressing the opening ceremony of the event. Last week’s editorial spoke about Seychelles moving to be more dog friendly with a new Dog’s Control Act. Many letters of feedback were received from all over the world complementing Seychelles on their move to deal with the stray dog problem of the islands, with a feeling of care and respect to animal welfare. a). New Progressive Tax which saw the private sector having to readjust salaries of their higher paid staff to ensure they were not disadvantaged by the new tax regime. b). Company Vehicles are costing more and more in servicing because of the state of the roads. Many hotels have also proposed that they be allowed to trade in foreign exchange at the Seychelles Trading Company (STC) and save on exchange rate commissions. The recent fluctuations in the value of the Seychelles Rupee is proving to impact negatively the monthly balance sheets and this point could be further discussed at the Inter Ministerial & cross sectorial meeting between the public and private sectors. Seychelles must realise that its competition is not between one of its hotels against another one, but instead, competition for a Seychelles holiday is in Tour Operator programs with other regions and even between neighbouring states and islands. Comparison will always be made for similar ranked properties and a Seychelles package, though expected to be a bit more expensive, cannot be entertained when the prices are doubled. 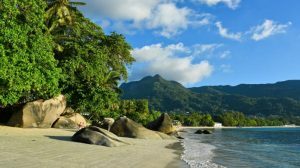 More and more lists of the best are being issued and Seychelles is missing out these days, not because we are worse off than before, but more so because of the connotation of “out of sight – out of mind”. The Tourism Board’s core function is the promotion of Seychelles for the benefit of the whole country. The upper end sector of the industry will otherwise continue to work well and the authentic Seychellois properties, activities and facilities will suffer. Bureaucracy will not fill hotel beds, but the ability to react fast to press or tour operators’ requests always brings returns for the country.